Israeli jets bombed a Syrian anti-aircraft battery east of Damascus after it fired an anti-aircraft missile at the Israeli aircraft on a spy mission overflying Lebanon, the IDF said. Damascus said the planes violated Syrian airspace near the Lebanese border. The battery was reportedly located 50 kilometers (30 miles) east of Damascus, Reuters reported citing Israeli military. The spy planes, which the Israeli military said were on a “reconnaissance mission,” were not hit. The Israeli military reportedly hit the Syrian battery with four bombs, leaving it no longer operational. Israel immediately reported the incident to Russia, accusing the government in Damascus of a “clear provocation,” according to Haaretz, citing the military. “The Syrian regime is responsible for any firing from its territory. We see this incident as a clear provocation and we will not allow it,” Haaretz quoted the army spokesperson as saying. After notifying Russia as part of the air coordination between the two countries, the Israeli Air Force responded two hours after the Syrian missile was fired, according to Israeli paper Maariv, quoting IDF spokesperson Ronen Manlis. “Whoever tries to harm us, we will strike at him. We will continue to act in the region as is required in order to defend Israel,” Netanyahu said. According to the Haaretz report, an “Sa5-type missile” was fired at the Israeli aircraft, which is a NATO reporting name for Soviet-designed S-200 surface-to-air missiles. 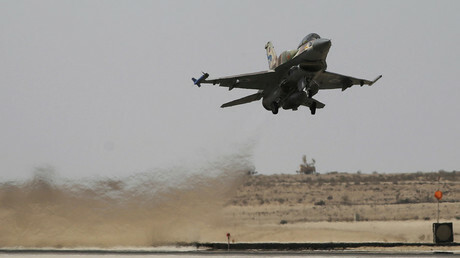 Damascus has reacted to the attack by saying the Israeli jets violated Syrian airspace near the Lebanese border. It also claimed one of the trespassing jets was hit. "The aircraft of Israel’s Air Force violated [Syria's] airspace near the border with Lebanon in the Baalbek area at 08:51 a.m. local time (05:51 GMT)... One of the planes was hit, which forced the aircraft to leave," a statement by the Syrian military said, as quoted by Sputnik news agency. Early September, Israel launched missiles at the Syrian army position in Hama province from Lebanese airspace. The army refused to comment on the incident. The Israeli military has repeatedly targeted arms convoys within Syria, claiming that they were carrying ammunition to Hezbollah, Israel’s Lebanon-based adversary. 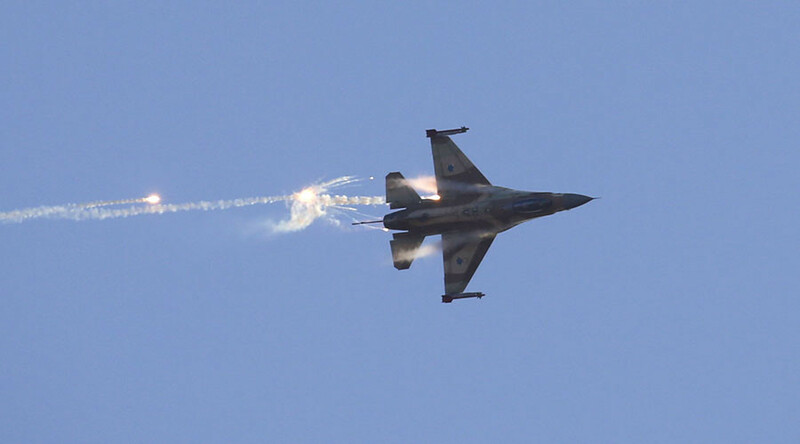 The attacks have happened almost 100 times over the past five years, according to the Israeli Air Force commander.